Tips for gym battles in Pokémon GO. This Pokemon Go Gym Battles guide offers several tips to help players prepare for gym battles in Pokémon Go. Defeating other trainers in opposing gyms allows you to overtake their gym for your team. Free Pokécoins are earned daily for holding and defending a gym. Check out our Pokémon GO hub for more guides and tips that'll help you level up faster, earn more Candy, get more Stardust, and lots more! Gyms in Pokemon Go are changing soon. 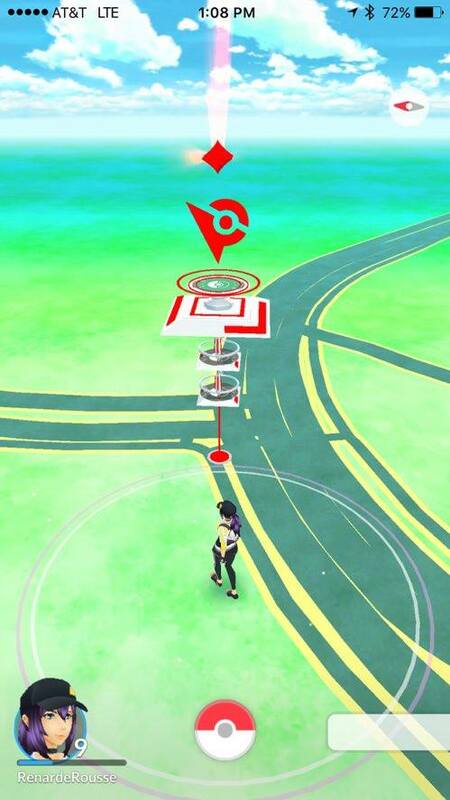 We've got all the details in our guide to the Pokemon Go Gym and Raid Battles update. The initial phase of Pokémon Go primarily consists of catching Pokémon and earning XP to increase one’s Trainer Level. You must be at least Level 5 to participate in gym battles. Until then, you should focus on catching as many Pokémon as you can in order to level up and have plenty of Pokémon at your disposal to prepare for battles. Upon reaching Level 5, players must pledge allegiance to a team of their choice. There are three teams to choose from: Team Instinct (yellow), Team Mystic (blue), and Team Valor (red). The team you choose will be the team you represent for the rest of the game, and will determine which gyms you can join or battle. Consider choosing a team based on the gyms held in your location, as this can make it easier to find a gym to join. After picking a team, you can enter a gym of the same color, provided there are enough spaces available for you to join. Gyms initially have slots for three members. When you find a gym, you’ll see the main trainer and the Pokémon they have stationed at the gym. Tap the gym and swipe to see its members, and if there are any available spaces for you to join. If you see an open circle beside the crown in the upper left, that means there is room for another Pokémon. Grey gyms are unclaimed, meaning you can move in right away. Unclaimed gyms are a rare find at this point, however. Once you have joined a gym, you must assign one of your Pokémon to defend the gym. This will increase the gym’s prestige and improve its defenses. As your gym fends off its opponents, more slots will become available for new trainers to join and enhance the gym’s defenses. Challengers must defeat all of the Pokémon trainers in your gym and reduce its prestige to zero for it to be taken over, so you’ll want to make sure you have one of your stronger Pokémon stationed in your gym to defend it from usurpers. If a friendly gym is full, you can still help to improve the gym’s prestige by sending one of your Pokémon there to train against its members. You’ll gain points as your Pokémon trains, and as the gym’s prestige increases through training, more slots can be opened for you to join and leave a Pokémon to defend the gym. If there aren’t any friendly gyms available for you to join, you may need to take over an occupied gym instead. This involves a bit more preparation, as it requires the trainer to have strong, battle-ready Pokémon who can survive the onslaught of multiple defenders from an opposing gym. There are a few things you should keep in mind before diving into gym battles if you want to come out on top. Before even considering gym battles, you first need to power up and evolve several of your Pokémon to ensure they are strong enough to compete. If you have been capturing loads of Pokémon up to this point, you should have enough Candy and Stardust available to strengthen at least a few Pokémon. Your Pokémon’s strength is based on its CP, or Combat Points. You can Power Up a Pokémon to improve its stats even further. Power Ups require both Stardust and Candy, which can be accumulated by capturing and transferring Pokémon. In general, you will want to transfer low CP Pokémon of a particular species back to Professor Willow in exchange for Candy. 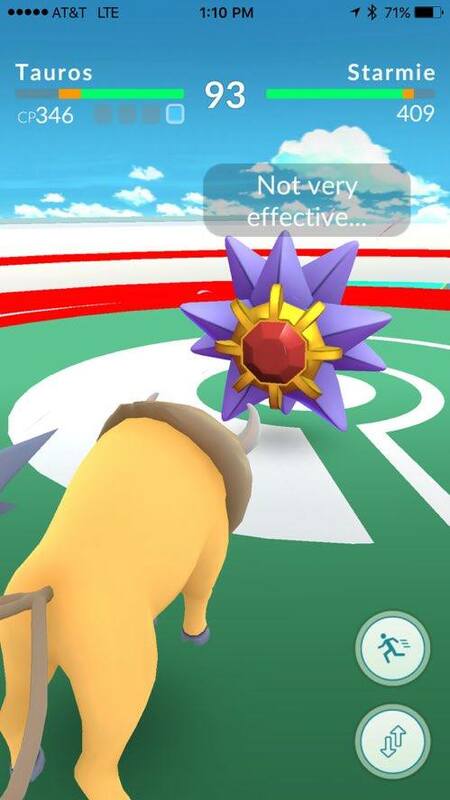 Save power ups for Pokémon with naturally high CP in order to maximize the stat increase. Evolving Pokémon adds another layer to the process. An evolved Pokémon will have better stats than its previous form, but it will likely take on a completely new move set. If you intend to evolve a particular Pokémon, you should do this first before powering them up, just so you can see the stats you have to work with. You might want to learn how to evolve Eevee. Once you have several strong Pokémon at the ready, it’s time to go out and find a gym to take over. 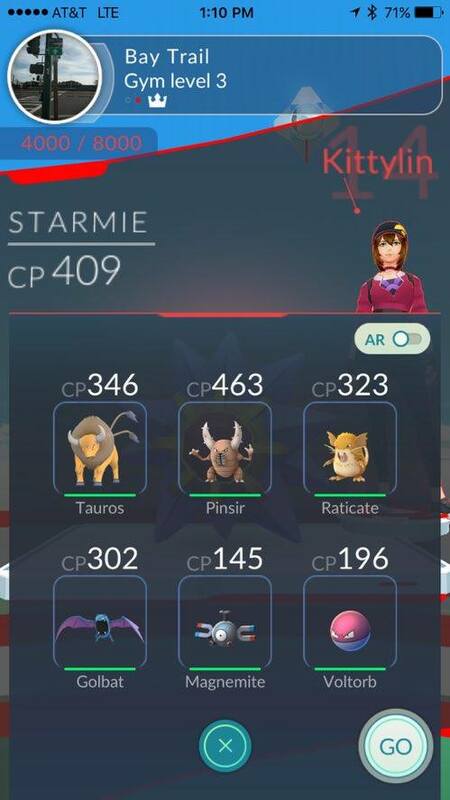 When you find a gym held by an opposing team, click on the gym to view the CP of the Pokémon defending that gym. Compare the CP of the defenders to the CP of the Pokémon you intend to use in battle. If your Pokémon stack up against the opposition, then proceed to challenge the gym and begin battle. Element types are an important factor in gym battles as well. This is a Pokémon game, after all. Water extinguishes fire, fire melts ice, etc. These rock-paper-scissors type advantages should be taken into consideration when sizing up your competition in advance, as it will impact your effectiveness in battle. You can take up to six Pokémon into battle with you. It’s best to have fighters that span a variety of element types in order to increase your chances of having a type advantage over your opponent. Battles mostly come down to incessant tapping and landing your special attack. When it comes time to battle an opponent, there are only a couple of attacks to keep in mind. To perform a basic attack, simply tap on your opponent’s Pokémon. As you continue to tap and attack, a blue bar will begin to fill up beside your Pokémon’s CP. When the blue bar is fully charged, tap and hold to unleash your special attack. Keep an eye on the enemy Pokémon and prepare to swipe left or right to dodge incoming attacks as well. Continue tapping vigorously and landing your specials. When a Pokémon faints, it will be replaced with the next Pokémon in your roster if six. Healing Pokémon can only be done outside of battle, using items acquired from PokéStops. Successfully defeating each opponent in a gym battle session will reduce the gym’s prestige by 2000 points. 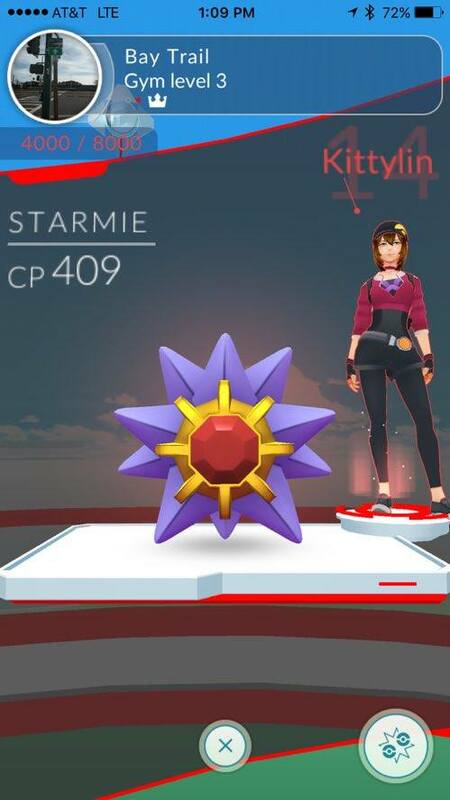 When a gym’s prestige reaches zero, you can claim the gym and take control of it for your team. You’ll earn additional Pokécoins each day you hold a gym, which is a nice incentive for supporting your team. Tagged with Guides,	gym battles,	Larryn Bell,	Pokemon.